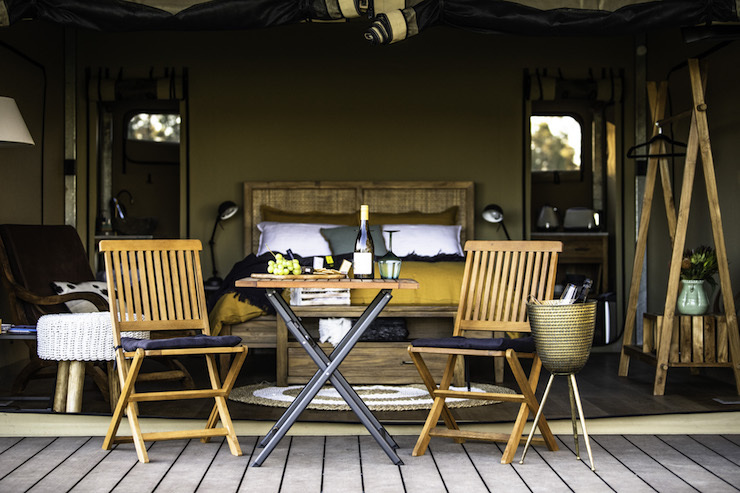 Glamping at Two Blind Cows in Margaret River is one of the most serene experiences you could hope to have in WA, and that’s saying something considering WA is one of the most serene parts of the world we’ve ever come across. After buying property down south and deciding they wanted to move there, Two Blind Cow owners Pete and Bronnie decided they had better figure out a way to a) occupy their time b) make a bit of money. And so Two Blind Cows was born. Once a working farm, the previous owners had two cows, Molly and Blind Beauty, who were both blind from birth. Pete and Bronnie inherited these two beauties when they took over the farm and that's how Two Blind Cows was named. Sadly, Molly and Blind Beauty aren't around anymore, but there are a couple of pooches (and one almost as a big as a cow) so you should be able to sneak in a couple of pats while you're down there. Apart from the doggos, there are three eco-tents spread out across the massive 132 acre property and the minute you enter yours, you’ll feel like you’re a million miles away. Each of the tents faces away from the property, and away from each other, so it really does feel like you’re camping in the middle of nowhere. If you forget about the ridiculously comfortable bed and various other creature comforts of course. Most of the furniture has been made by a local Fremantle guy and to say he has done a good job is an understatement. From the bed frame to the bathroom cabinets, you’ll wish you could buy everything and set it up in your own home. Aside from the delightful queen-sized bed, there’s a rain and wall mounted shower (which is most likely better than your shower at home), a kitchenette kitted out with all the essentials, a private deck complete with a mini Webber, heaters and fans and there’s even a TV. 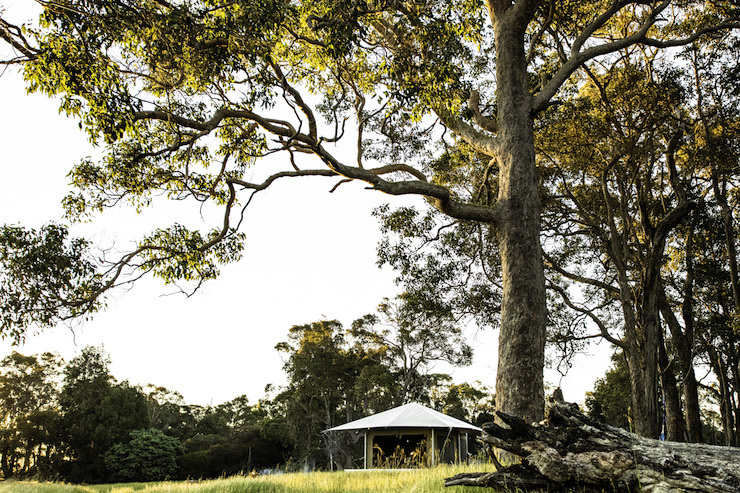 It’s only a 15 minute drive from Margaret River town so, if you don’t really want to do the whole camping thing, you can nip in for dinner or a coffee, or pick up some supplies from the supermarket to cook up a BBQ on your deck as the sun goes down and lights up the trees. It’s also only a five minute drive from Colonial Brewing and there are plenty of other breweries, wineries, walking trails and more within a 20 minute drive, but if you want to hang about the property, you can go and play pool in the shed (and hope you catch a glimpse of their beautiful hound), or grab a board game or a DVD to take back to your tent. You can make this holiday whatever you want it to be, but there’s no way you won’t leave feeling more relaxed than you have in a long while. Book your stay here, here or here and while you're down there, check out the best things to do in Margaret River.